THE SUNDAY TIMES BESTSELLER. 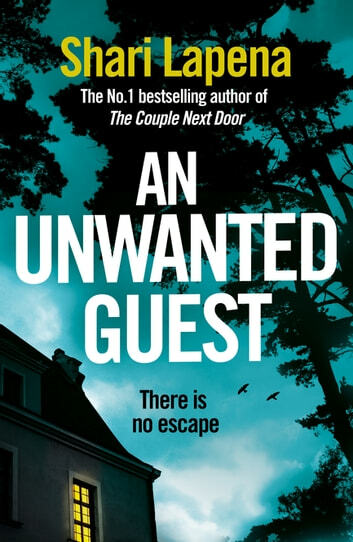 The new pulse-pounding and unputdownable thriller from the author of the number one bestseller THE COUPLE NEXT DOOR, and A STRANGER IN THE HOUSE. I really loved the first two books of Shari Lapena as masterpieces within the thriller genre. Nevertheless this last book was the biggest delusion ever: a very boring, endless, climaxless description of characters stuck in the hotel. I had to struggle to reach the end of the book. I am truly disappointed. Again Shari has given a book that is enjoyable and hard to put down. Having travelled to the remote Mitchell's Inn for a weekend getaway our cast of characters get far more than they baragained for as the wether closes in and cuts all connections with the "civilised" world. On arriving they already note there is no wifi and no mobile phone signal but after the ice storm of their first night there is no way to get away from the luxurious hotel. Thus is the setting for an old-fashioned murder mystery. We are introduced relatively slowly to the main protagonists: Gwen & Riley - Best friends and Riley has been having a very tough time of late so Gwen is treating her to a relaxing weekend away. Lauren & Ian - Young couple on a romantic weekend break. Dana & Matthew - Engaged couple having a pre-wedding honeymoon. Beverly & Henry - Older couple with marital problems James & Bradley - Owners of the family run hotel (father and son). Candice - Author on a break to be able to finish her latest novel. David - Single attorney taking a much needed break. I don't think I've missed anyone out. What you soon come to realise is that everyone has a secret and that some of them are really very large secrets to be keeping. 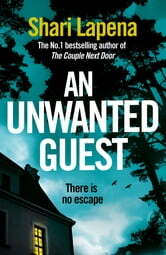 The problem is that none of the secrets really tie in to the murders that have begun to happen in this remote getaway. I happened to guess who the culprit was more by a process of we know so little about this character it must be them rather than any deductive work based on the text - somehow this makes the whole murder mystery more frustrating than enjoyable. My main issue with the story was the number of inconsistencies with the plot. admittedly none of these made a difference to who the perpetrator was or their reasons for it but they did feel to me like they were simply there to further the claustrophobia of the setting and felt completely unrealistic. First off this is a remote hotel in an area that suffers frequent snowfall - one of it's big draws apparently seems to be skiing - and yet they have no snowmobiles there that someone could have gone for help on. They also have some oil lamps for when the electricity goes off - we are told by James and Bradley that this is a fairly regular occurence - and yet they only have the oil that is already in them with no reserves to top them up; similarly no spare batteries for the torches. The hotel is freezing during the power outtage but surely in a property this old and remote the furnace would be oil or gas fired so why is there no heating or hot water? The worse crime for me - a sitting room appears on the second floor that isn;t there when the guests are doing a walkthrough of the hotel but then becomes a permanent fixture. I know this all sounds a little bit petty and nit-picky but these inconsistencies genuinely spoilt the story for me. It was clear that they were only there to serve the plot but they made the whole thing vaguely ridiculous. This is a pity as there is some good tension building throughout and the play between characters is well drawn. Unfortunately, this led me to feeling so frustrated I would not be interested in reading any of this author's other works. THIS IS AN HONEST AND UNBIASED REVIEW OF A FREE COPY OF THE BOOK RECEIVED THROUGH THE PIGEONHOLE. Creepy and addictive... I absolutely loved this book... a classic style whodunnit with an Agatha Christie vibe that kept me guessing til the end. I have read other books by Shari Lapena but this is definitely my favourite, and is one of the best books I have read this year. The guests start arriving to the remote Mitchell's Inn. They are all there for a relaxing weekend away from all the stresses of modern life. There is no Wifi, nothing close for miles Andrea that is exactly what the guests want... until the first body is found at the bottom of the stairs on the first morning. A fierce snowstorm hits and takes out the electricity. The guests start to speculate on what happened the night before... is there a killer among them? This book will have you pointing the finger at all the characters. You will not know who to believe and the plot only thickens as the story moves along. A fantastic read, highly recommended.